Bundled Offers - Save Up to 23%. It’s no exaggeration to say that the computer age would be much different without all of the peripheral products Logitech either invented or improved upon. Their mice, keyboards and everything else they produce continue to win awards and set the standards for the industry. Make sure your getting the best out of all your devices by taking a look at Logitech’s extensive list of add-ons, and get ready to upgrade. What does Logitech do? Chances are you already know, considering that you’ve been using their award-winning products for years, whether you’re aware of it or not. Logitech develops and sells hardware and software for digital navigation, music and video entertainment, gaming, social networking, audio and video communication over the Internet, video security and home-entertainment control. Their primary focus is the creation of computer and electronics peripherals such as mice, keyboards, and speakers. So as you can see, whatever type of add-on you want or need, Logitech can deliver. 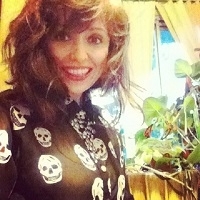 Their website “Support” area is amazing – there’s info and help available and easily accessible for all of their products. Logitech was founded in 1981 in Apples, Switzerland producing mice, which were new at the time and provided a more intuitive way of interacting with a personal computer. Since then, they’ve continued to expand and now offer a broad portfolio of interface devices that are distributed in more than 100 countries worldwide. Logitech maintains offices in major cities in North America, Europe, and Asia Pacific. So, even if you think you’re all “set-up,” take the town to browse Logitech’s site and products. You are almost guaranteed to find something that makes whatever you do easier, more efficient, higher-quality, and even more fun. When you do find that special something and decide to order, make sure to plug-in a Logitech coupon code to save on your purchase. That way, you’ll not only be happy with your brand new toy, you’ll also be happy with the cash that stayed in your wallet. Before you browse Logitech’s site to find the very best in peripherals, take a look at some answers we put together for questions that may arise. We hope they help. Why isn’t my Logitech coupon working? Double check that the coupon hasn’t expired, or that there aren’t restrictions that are preventing it from being accepted by Logitech. Many coupons are very product specific, so make sure the coupon you’re trying to use actually is intended for the exact item you want to purchase. Also, even though many vendors and re-sellers carry Logitech products, their coupons must be used to purchase from Logitech directly. How do I contact Logitech Customer Support? “Support Community” is a huge searchable database of comments, questions, and solutions that have come up in the past and will likely give you the answers you’re looking for. “Support + Downloads” features a clear graphic interface with pictures of Logitech products that you then click on when you see the one you’re looking for. This is also searchable by product name or model number. Another way to get support (and a whole lot of info) is to check out Logitech’s YouTube page. The amount of content on there is incredible. Check out this video for their new T620 Touch Mouse for Windows 8. What is Logitech’s shipping policy? Standard Shipping (4 to 7 Business days) appears to be free for orders over $49. They also offer Express Shipping (2 to 3 Business days) whose cost is tied to weight. What is Logitech’s return policy? If I find additional Logitech coupon or discount codes, can I add them to your page? Our CouponPal experts are relentless in the quest to save you money. In the rare instance you do stumble across something they haven’t yet discovered, let us know by emailing us at contact@couponpal.com . Now to answer your question, “No.” To ensure that coupons are valid, we cannot allow third parties to add codes to our store pages. But again, if you do find a bargain out there that we’ve missed, please let us know. A computer is more than the sum of its parts...but the parts still matter! Logitech computer accessories have changed the way we interact with the digital world, for the better. Get the latest and greatest computer technology from Logitech, and wire in some savings with a Logitech coupon code. Follow these directions to get started. This is easy: Look at the Logitech page at CouponPal.com, and find a promo that you like. Then click "Get Deal" or "Get Code." 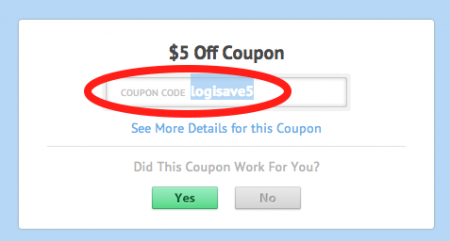 Most coupons for Logitech don't require a code – the savings will be automatic. 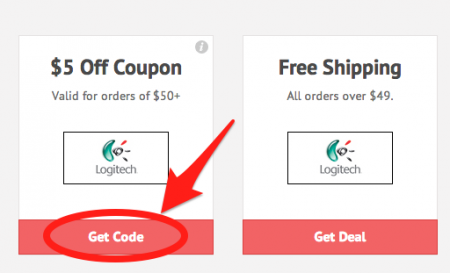 If you choose a coupon that does require a code, a window will pop up and show the Logitech promo code. Highlight and copy it so that you can use it later. Now is the fun part, shopping for computer gadgets. Find the perfect mouse, speakers, webcam, keyboard, or whatever you need for your digital life. When you're done shopping, you can click on the "Cart" icon at the top of the page to see what's in your shopping cart. Look it over and make sure everything is right before moving on. On your shopping cart page, look for the text box at the bottom of the page that says "Coupon or Promotional Code." Enter your Logitech coupon code here and click "Apply." Your discount will appear in your estimated total. After applying the promo code for Logitech, click "Proceed to Checkout" to continue with your order. Next, you'll be prompted to either sign in to your account or create a new one. Then you'll enter your shipping and billing addresses, as well as your payment information. Finally, check your order over once more and then submit it. If there is one thing a company like Logitech knows its webcams, and mice, keyboards, headsets, multimedia speakers, smartphone accessories, and pretty much anything that you can plug into a computer. If it weren’t for Logitech the computing age would have been very different, so lets take a look at some of their newest innovations in communications technology.